Slotte group in January 2019. From left to right: Marco, William, Tanja, Ben, Erika, Jörg, Aurélie, Juanita, and Robert. Tanja is a population geneticist who studies the genetic basis and genomic consequences of classic evolutionary transitions such as plant mating system shifts. She is broadly interested in using population genetic methods to understand how selection affects different classes of sites across plant genomes, and in the evolution of loci under balancing selection, such as mating system supergenes and self-incompatibility loci (see CV). 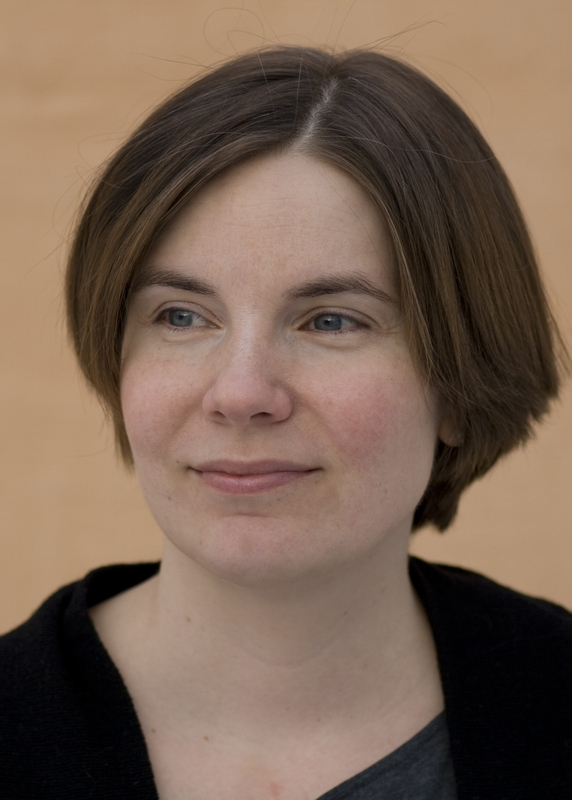 Tanja received her PhD from Uppsala University in 2007. As a post-doctoral fellow with Stephen Wright, she worked on the demographics of speciation and mating system evolution. As an Assistant Professor at Uppsala University, she started her own group working on plant evolutionary genomics. In April 2014 she took up a position as SciLifeLab Fellow at Stockholm University. In 2016 she became docent in Ecological Genomics at Stockholm University and in 2018 she became Associate Professor in Ecological Genomics. Jörg is working on the project “Evolutionary consequences of dominance at a locus under long-term balancing selection”. He did his Masters thesis on mating systems in Cardamine, in the lab of Prof. Kentaro Shimizu at University of Zürich. Jörg started his PhD studies in September 2015. Robert is working on population genetic analyses and analyses of cis-regulatory variation and divergence in Capsella. Robert started his PhD studies in April 2016. Prior to that, Robert received his Master’s degree from ETH Zürich, where he completed a Master’s project on population structure and colonisation history in Cirsium arvense with Dr. Alessia Guggisberg. Juanita received her Master’s Degree from University of Groningen and University of Munich as part of the MEME Erasmus Mundus programme. Juanita did a Master’s project on the impact of mating system on selection in plants in the Slotte lab, with Michael Fontaine as a supervisor at University of Groningen. Juanita started her PhD studies on June 1st, 2018 and is working on the Linum distyly S-locus project. Benjamin is a postdoctoral researcher who joined the lab in February 2015. Ben is particularly interested in impact of life history traits, such as mating systems or dispersal capabilities, on species diversification. He has also studied the impact of glacial periods on population structure of bryophytes, a group of early haploid land plants, including the role of oceanic islands in the post-glacial recolonisation of Europe. During his PhD studies at University of Liege in Belgium, he worked on the “Liverwort Tree of Life” project (Duke University). In the Slotte lab he first worked on the genomic consequences of mating system variation in Brassicaceae, and is currently working on the Linum distyly S-locus project. Marco is a postdoctoral fellow who joined the lab in 2017. Marco did his PhD on genetic diversity and climate adaptation in Arabidopsis lyrata, at University of Neuchatel and University of Basel. He is currently working on mating system evolution and population genomic analyses in the Brassicaceae. William is a postdoctoral researcher who joined the lab in November 2018. William’s main interests are on the evolution of reproductive traits that shape life history strategies. During his postdoctoral work at the Max Planck Institute for Plant Breeding Research, William studied the evolutionary consequences of pleiotropic regulation of flowering and seed traits in the Brassicaceae. William completed his PhD at Carleton University, where he studied phenotypically plastic semelparity in the herbaceous monocarp Lobelia inflata (Campanulaceae). He is currently working on the Linum distyly S-locus project. Maya is a PhD student at Stockholm University, with Gitte Petersen as main supervisor and Tanja Slotte as co-supervisor. Maya is working on genome evolution in parasitic plants, and started her PhD studies in 2019. Xuyue is a PhD student at Stockholm University, with Peter Hambäck as main supervisor and Tanja Slotte as co-supervisor. Xuyue started her PhD studies in 2016. Siri is a PhD student at the Natural History Museum, University of Oslo, and has Tanja Slotte as a co-supervisor. Siri started her PhD studies in 2015. Aurélie was a research engineer in the lab in 2017-2019. Rocky was a PhD student at the Swedish Agricultural University, with Prof. Claudia Köhler as main supervisor and Tanja Slotte as Deputy supervisor. Rocky started his PhD studies in 2013 and defended his thesis in October 2017. Andy was a researcher in the lab in 2015-2017, and is now Admissions Tutor at Bradford University, UK. Kim defended her thesis on the adaptive significance of cis-regulatory variation and divergence in Capsella in February 2016, and has now taken up a postdoctoral position in the lab of Prof. Juliette de Meaux at University of Cologne. Mike was a postdoc in the lab in 2014-2015, and is now a Senior Researcher at the University of Oslo, Norway. Johan was working on bioinformatic analyses together with Kim and Veronika and is part of the SciLifeLab Long-term Bioinformatics support.